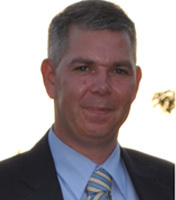 Mumbai, India, April 02, 2013:, CtrlS, an IT enabled managed service provider (MSP) and owner and operator of Asia's largest Tier 4 Datacenters, announced the appointment of industry veteran Mr. Edwin Kolen as The Chief Operating Officer for CtrlS business in India. This announcement further assures CtrlS' commitment to customers and help gain control over their complex IT environments for optimized business proposition. Edwin brings close to 20 years of experience in managing IT infrastructure and services operations for offshore/outsourcing organizations at multinational companies in India. Before joining CtrlS, Edwin was the managing director of Colruyt, India, where he was leading the Indian offshore development center operations. Having worked with both Indian companies and multinationals, he brings a wide range of experience and a deep understanding of the expectations of customers from across the globe. At CtrlS, Edwin will partner with the existing leadership to lead the growth of CtrlS business in India. "We are very pleased to have Edwin Kolen lead CtrlS operations. Edwin brings in rich industry experience in understanding Fortune 100 customers and has impeccable people management skills. He is helping build systems & processes, scaling up operations for the company," said Sridhar Reddy, CEO & Founder, CtrlS Datacenters Ltd. "Edwin's leadership will be able to further deliver on customer expectations and help drive efficiency and innovation in CtrlS." Expressing his delight, Edwin Kolen, COO CtrlS Datacenters Ltd. said "It is exciting to work in an environment where everything has to be up and running 99.995% of the time and where everything has to be up and running 99.995% of the time and where customer focus is central. I have been given a free hand to ensure customer delight and that is my goal; to work together with our customers and astound them with the vast range of services we provide. I believe CtrlS has an exciting value proposition, a strong reputation and a growing relevance for customers in guaranteeing uptime and keeping data safe and secure." CtrlS focuses on hiring and retaining team members who are passionate about addressing key challenges and opportunities in today's dynamic IT environment. With this appointment, the company is poised to scale its business up significantly. Incorporated in 2007, CtrlS offerings comprise of datacenter infrastructure, disaster recovery, storage, application hosting, backup, hardware, Cloud computing, OS layers, network and security solutions. With Asia's largest Tier 4 Datacenter to its credit, CtrlS provides unmatched hosting capabilities through enhanced connectivity, multiple redundancies, fault tolerant infrastructure with a guarantee of a 99.995% uptime with penalty backed Service Level Agreement (SLA). CtrlS' state-of-art datacenters across Hyderabad, Mumbai and Delhi are spread over a combined area of nearly 370,000 Sq. feet. CtrlS offers a comprehensive range of sophisticated and contemporary datacenter solutions to help companies deal with and get the best out of their complex, mixed IT environments. CtrlS solutions enable customers to support changing business models at the right time, the right place, and from the best sources, delivering IT services in a flexible manner that best serves business needs.